Looking for a baptism gift that will be proudly displayed? 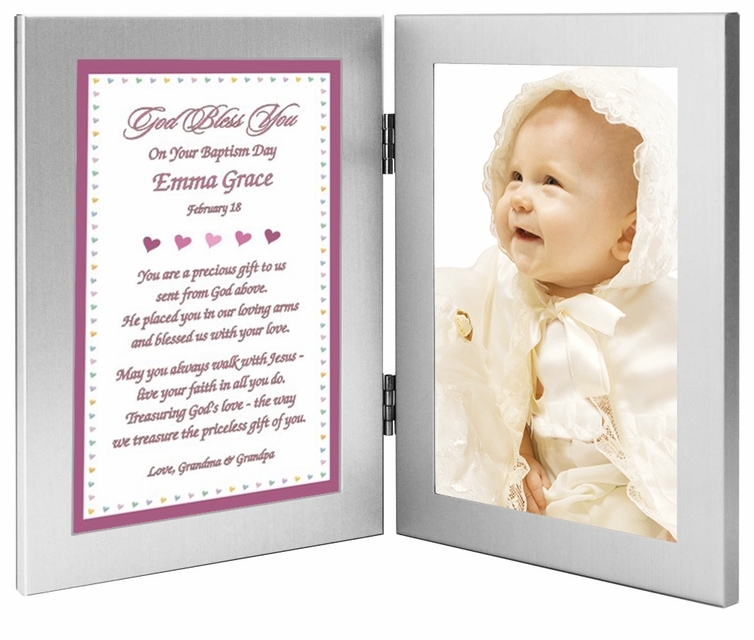 This double frame with sweet poem for a baby girl's baptism day will be a hit with her parents. Personalize the poem with names and optional baptism date. A lovely gift for the baby. Baptism gift for baby girl personalized with names and baptism date. Special baptism or Christening gift for daughter, goddaughter, granddaughter, etc. Photo can be inserted after delivery by either you or the baby's parents. Standard 4x6 inch photo or part of any larger photo. and blessed us with your love. live your faith in all you do. we treasure the priceless gift of you.